German heavy lift company Hansa Heavy Lift has filed for insolvency with the Hamburg District Court amid challenging market conditions. The decision was allegedly triggered by the company’s US-based investor Oaktree Capital Management on Monday, December 10. 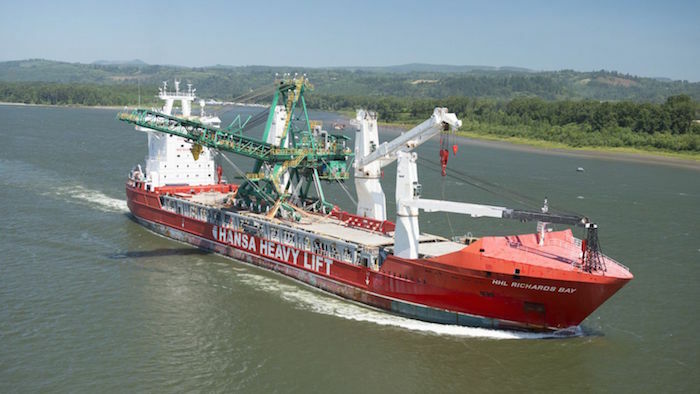 “Due to an extremely challenging operating environment in the global shipping industry, Hansa Heavy Lift filed for insolvency earlier today. Funds managed by Oaktree Capital Management, have been a committed investor in the company over the past seven years and have worked tirelessly with the company’s management team to thoroughly evaluate all potential strategic avenues to ensure the viability of the business,” Oaktree said in a statement to World Maritime News. The court has appointed Hamburg restructuring expert, lawyer and tax consultant Christoph Morgen as preliminary insolvency administrator. The company said that Morgen will now get an overview of the current business situation and examine what the company’s first steps within the proceedings could be. Founded in 2011, the heavy lift company operates a fleet of 11 vessels, specializing in super heavy lift, heavy lift, and project cargo transportation and installation in the subsea oil and gas markets, as well as the offshore windfarm sector. The company was established following the insolvency of its Bremen-based predecessor, Beluga Shipping, which was taken over by Oaktree in 2010.